Emily is being recognized for her outstanding accomplishments in scholarship, activities, leadership and service. Academically, Emily is challenging herself by taking two AP classes in European History and Spanish. She has been an Honor Student for all 4 years here at RMHS and has particularly enjoyed the reading, writing, and discussions of her Honors English coursework. Last year, she was honored with a Core Value Award for Respect—exemplifying kindness and thoughtfulness towards everyone she encounters. In her sophomore year, Emily also earned a Perseverance Core Value Award for her work in Mixed Choir. She has particularly enjoyed her coursework this year in Anatomy and Physiology. In terms of activities, Emily has been a very active four-year member of the Drama Club. Her upcoming performance as Mrs. Chauvenet in the spring production of Harvey will be her tenth drama production. Some of the other memorable roles that Emily has enjoyed performing are “the Doll” in Mary Poppins and “Donatella” in The Wedding Singer. She has also helped behind the scenes in several productions, working as a member of the Hair Crew for the production of Antigone and Around the World in 80 Days. Emily has also assumed a variety of leadership roles in her work with Drama, including being the sophomore and senior representative of the Club—helping to stay in touch with the Club members and to provide ongoing, key communication as necessary. She has also been a member of The Five Star Theatre Company production crew since her sophomore year, helping younger artists to develop the stage skills needed to perform. Emily’s accomplishments as a performer also include ten years as a pianist and four years performing in all three RMHS Voice groups—Fermata Nowhere, Mixed Choir, and RMHS Singers. This year, she is the President of RMHS Singers and the Vice President of Mixed Choir and was a historian for both groups last year. Of course, we can’t forget Emily’s contribution as one of the three student voices of RMHS responsible for the always entertaining morning announcements! Lastly, Emily even finds time in her busy schedule to volunteer at Winchester Hospital, where she works as a junior messenger responsible for transporting patients and delivering a variety of things including flowers! She also has contributed regularly to the Reading Chronicle by writing the Senior Profiles and as a lay reader at the First Congregational Church in Reading. 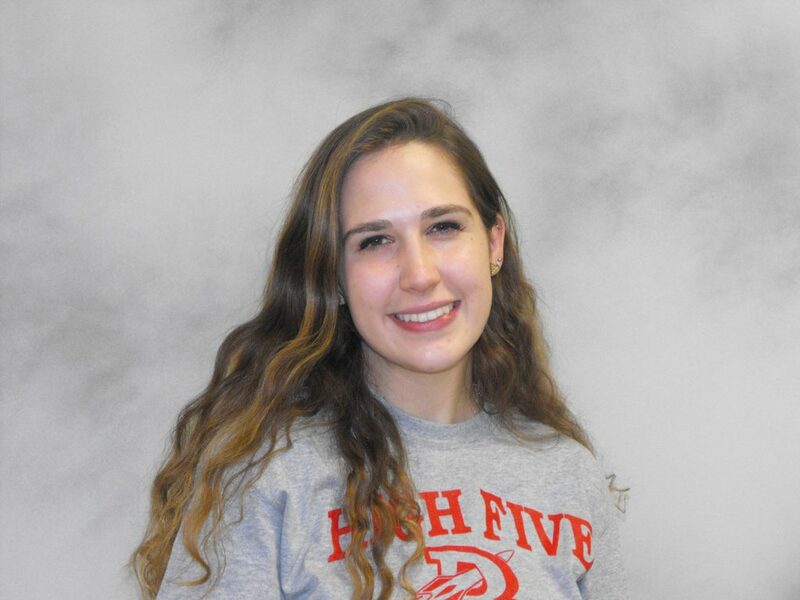 Finally, in her work as an officer in the Drama Club, Emily is responsible for coordinating and participating in a variety of community service projects that help to make Reading such a great place! Next year, Emily will be attending a four-year college and pursuing a health science major. Adam is being recognized for his excellence in academics, activities, and service. 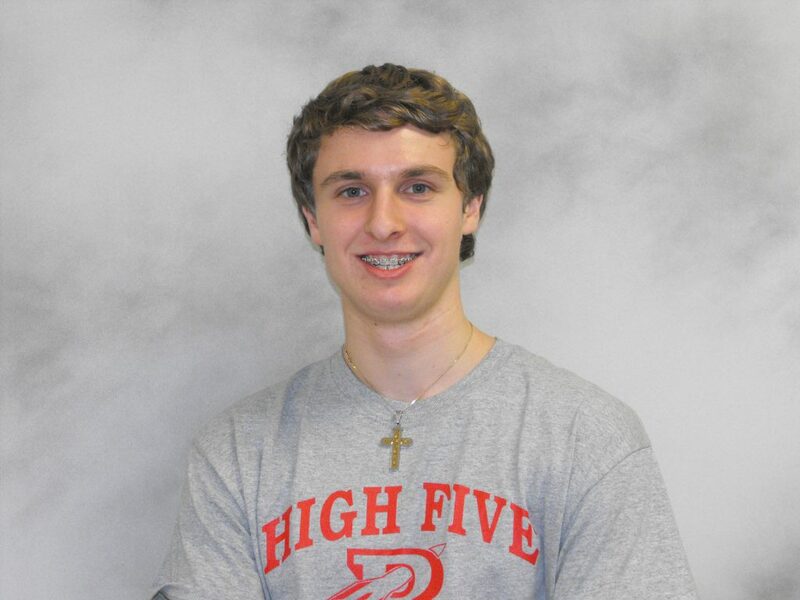 Academically, Adam challenges himself by taking Honors Psychology and Honors Creative Writing. In his sophomore year, Adam was awarded a Core Value Award for Perseverance in French, and he has continued to give his very best throughout his years at RMHS. In terms of activities, Adam has excelled as a 4-year member of the Drama Club—as a member of the dedicated Technical Crew. Most recently, he helped create the “theatrical magic” in the fall production of Pippin, where as a member of the run crew, he was responsible for ensuring smooth transitions in moving and fixing set pieces throughout the performance. Adam has also been a four-year member of the Science Team, and recently helped the Rockets to earn an outstanding 5th place finish, beating out 50 other schools in the “Towers” competition, which had teams engineer a model tower—having to adhere to certain rigorous standards for height, weight, and strength. Adam has also been a four-year member of the Environmental Club, helping to inspire members of the RMHS and Reading community to be mindful of reducing waste and increasing recycling on a regular basis. He has assisted in the development of environmental related ideas for the community and is currently exploring ways to create a compost pile that will address the daily production of biodegradable waste in the RMHS cafeteria. Adam has also been a four-year member of the spring outdoor track team, competing in the 110 meter and hurdles events and is looking forward to another exciting season in 2018. He is also an active member of the Boy Scouts, most recently earning the distinguished status of Eagle Scout. In order to reach this significant accomplishment, Adam had to complete a rigorous service project, which was to oversee the construction of a series of bat houses designed to maintain bat populations, which help to reduce mosquitoes and other harmful insects. As a member of the Scouts, Adam has exemplified a commitment to service, completing hundreds of community service hours in the local Reading community. Other notable community service projects include the ongoing construction and restoration of bridges and walkways in Reading Town Forests and the installation and construction of gardens for local Reading churches. Next year, Adam will be attending a 4-year college and will be pursuing a degree in Environmental Science. Congratulations, Adam!